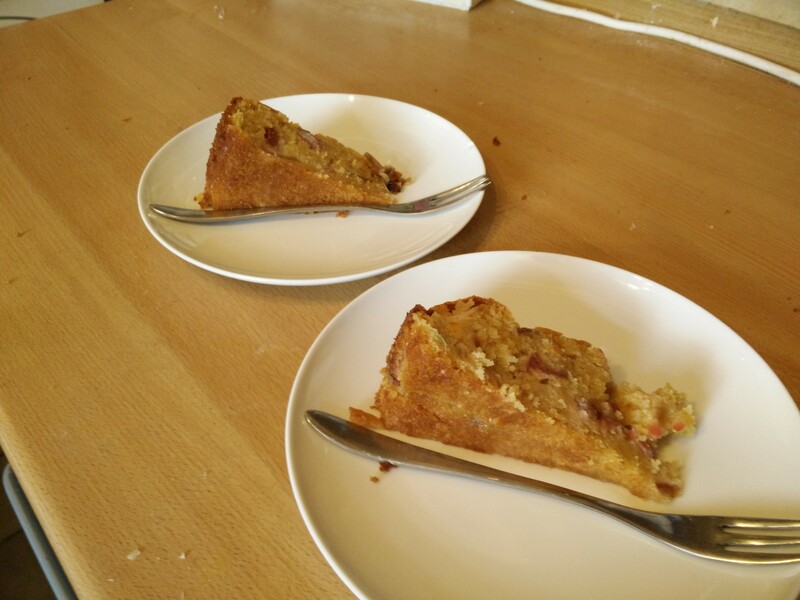 Garden rhubarb is going well, which is a great excuse to make this rhubarb and custard cake! 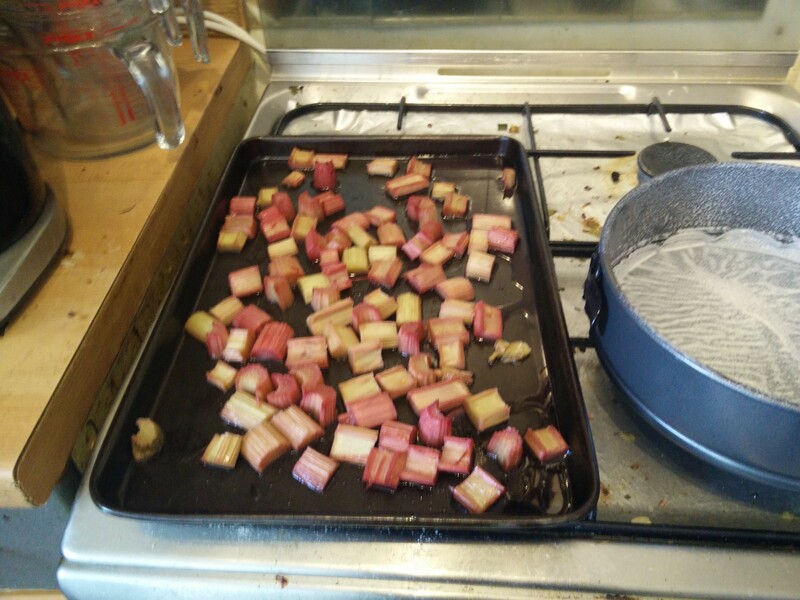 It starts with roasting tossing the rhubarb in sugar and a little salt, then roasting it off to soften up. 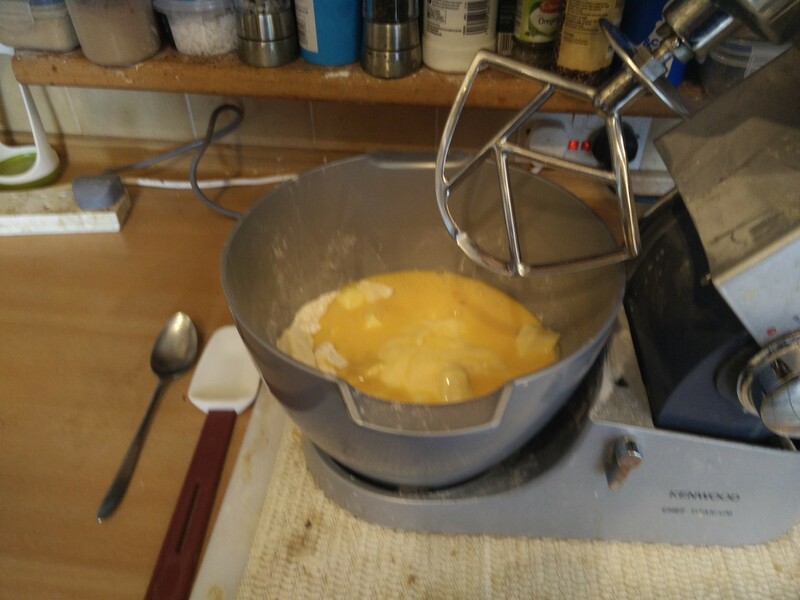 Then it’s a simple all-in-one mix with bought (!) custard. 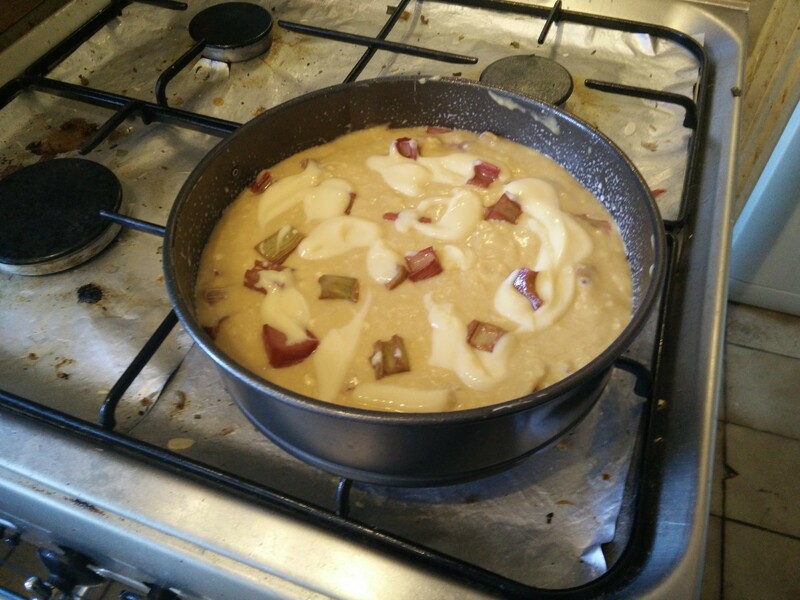 Then layer the mix and rhubarb into a spring-form cake tin, and top with extra custard. Into a 160C fan oven for 40 minutes, then cover and bake for another 15-20 minutes until it’s done according to the toothpick test. Ended up taking well over an hour but it looks good! That is some delicious warm cake! 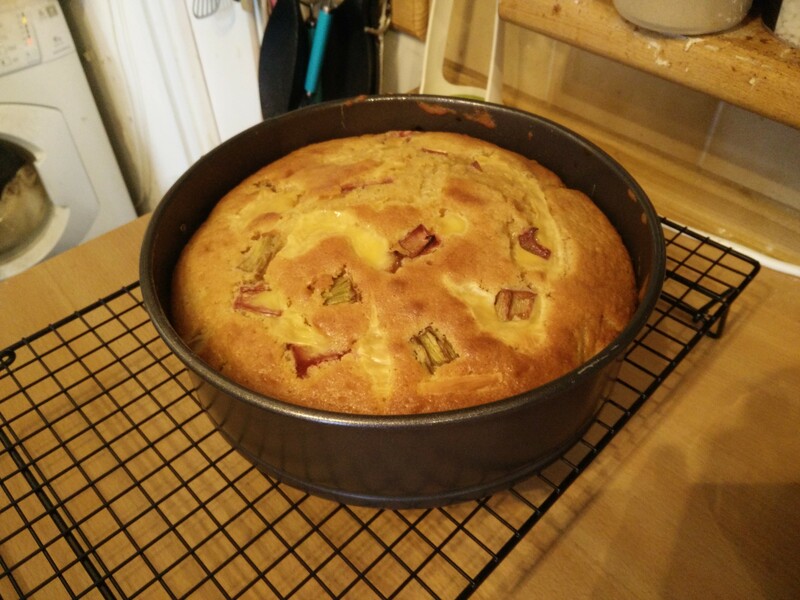 Lovely and moist with nice sharp bits of rhubarb all the way through. 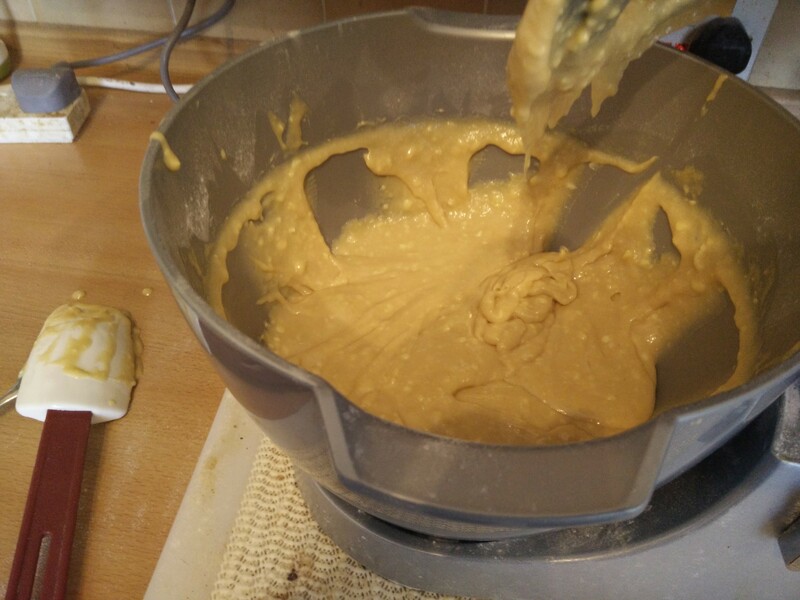 Most unusual recipe – never heard of such before, mixing purchased custard with cake mixture. It did look good though.